The union between Nollywood actress, Yvonne Jegede and late veteran actress Bukky Ajayi’s son who is also an actor, Olakunle Fawole has reportedly crashed. Yvonne Jegede may have suggested this in her recent posts on social media. TVCONTINENTAL.TV gathered that since the arrival of their baby in November 2018, Abounce has not shared any post acknowledging the birth of the child or congratulating Yvonne. This according to the source is a reason for the marriage alleged crisis. The source disclosed that there are possibilities that the baby boy the actress gave birth to in 2018 might not be Abounce’s biological child. The source also revealed that the couple have yanked off their wedding rings as well. Meanwhile, there are claims that Yvonne’s husband might be involved with veteran actress, Bimbo Akintola. 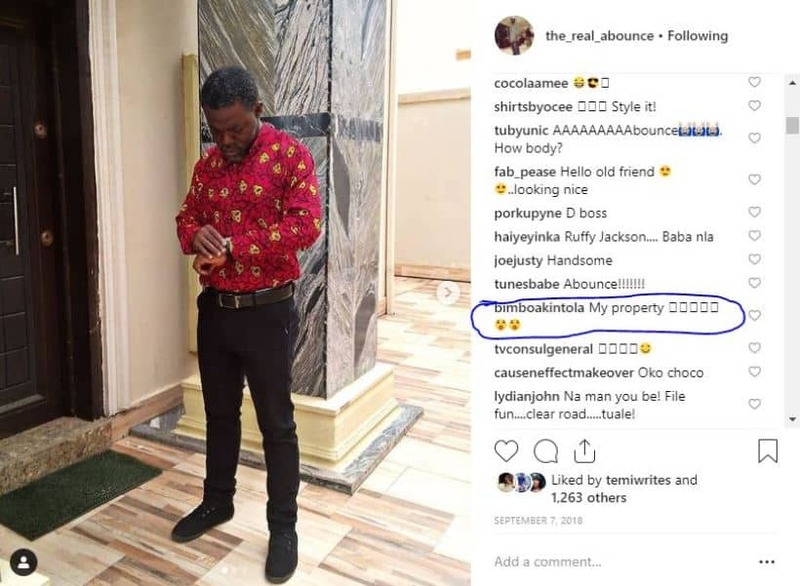 TVCONTINENTAL.TV can’t say the exact role she might have played in the crash was not disclosed but on September 7, 2018, she commented on Abounce’s Instagram picture as she claimed the young man is her property.